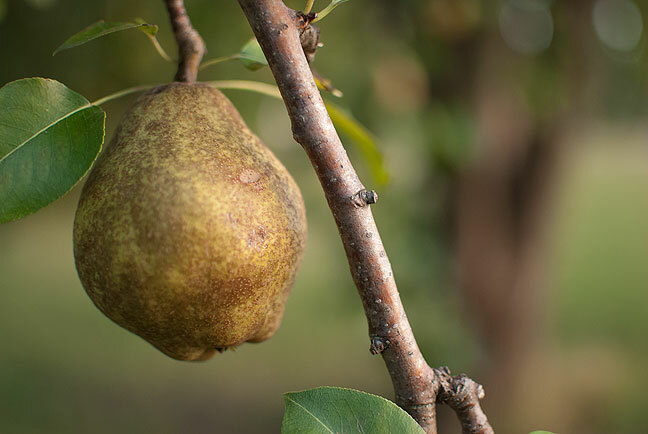 The pear tree down at Dorothy’s house is bursting with fruit. Don’t look for this one, though; it’s inside me now. This desert tarantula was a guest in the north pasture tonight. Although it seemed to be aware of my presence, it did not assume any kind of threatening posture. I let it go about its business. The weather is spectacular in Oklahoma these days. The days are clear blue; the nights are cool. Tonight after making Abby something to eat, I decided I needed to be outside. I grabbed a camera, one of my Nikon D80s with the 35mm f/1.8, and headed out. I walked down to Dorothy’s place, which, despite being a nice piece of land and a neat old house, is still for sale. I photographed a few branches and bricks, and noted that the old pear tree was loaded with fruit. I grabbed one and started to eat it as I walked west toward the pond. As I approached the Walnut tree, I saw an adult tarantula on the ground. I stopped and photographed it. 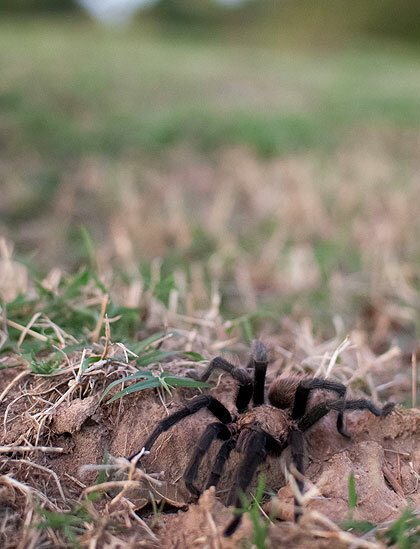 Apparently there are a lot more tarantulas this year than last. I finished the night with a loop around the pond, then back to the walnut tree, which I photographed against a beautiful autumn sky. 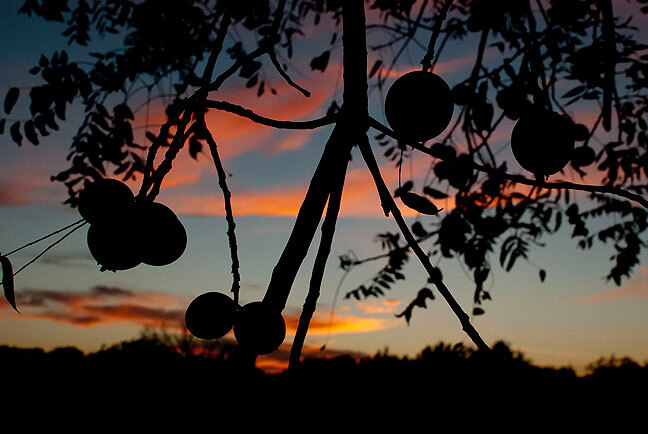 Heavy with hard, green fruit, our black walnut tree stands against a fiery sky tonight. I like abby’s knit ensemble.